It seems like I managed to really annoy some people, and some even claim to hate me! I didn't mean to laugh about how you decide to spend your time or make fun of anyone in anyway. I myself 'waste' a lot of time on YouTube, sometimes on silly videos while doing nothing, and sometimes countless hours listening to music as I work. I added at least a few views myself to each one of the videos seen on the site, and many more not on the site. 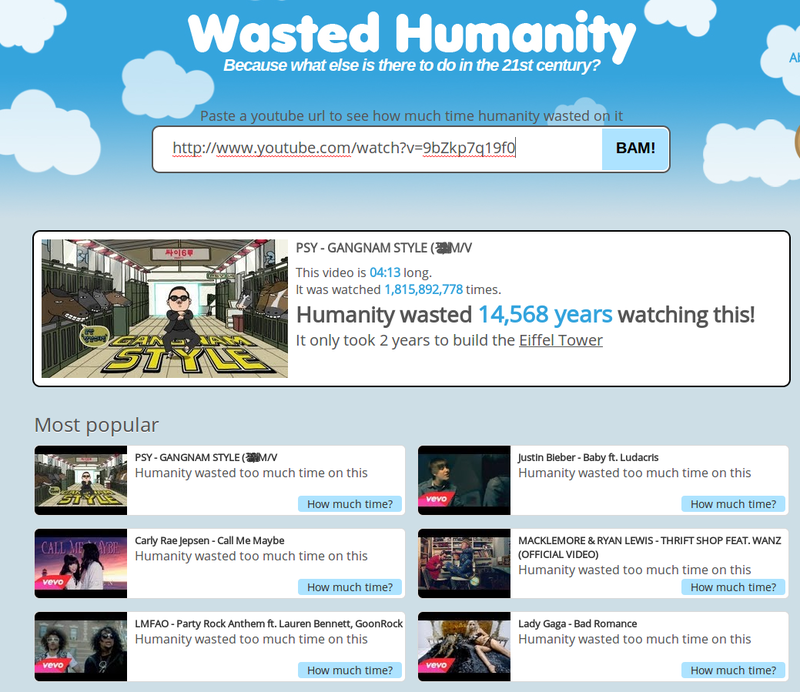 I don't see that time as 'wasted'. I also know the calculation isn't a bit accurate, and that each (or at least most) of the facts on that site wasn't accomplished by one person so in reality it took much more than written.